Play Silver Sands mobile online games directly from any Mobile Device ,any time and anywhere. What more could you ask for from South Africa’s leading online establishment. For years players have enjoyed the exciting games, great pay outs and even better bonus incentives. Now you get to experience all this and more while you are on the move, in the office or even while you are standing in a line waiting to be served. All you need is a mobile device, internet and a Silver Sands player account. The best news of all is that Silver Sands Mobile is also now available on Android. Insight: With Android support added to the mix, this makes a great casino even better Apple and Blackberry have both been available for some time but now their is support for Android devices which will make the majority of users like me, extremely happy. 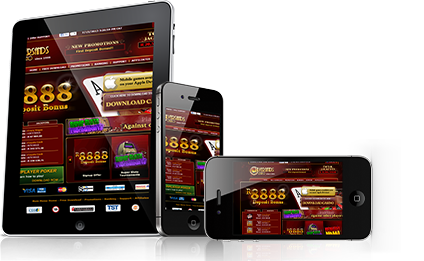 With support available for so many devices, this mobile friendly version of the online casino now has the potential to introduce a much wider target audience. We believe that Silver Sands Mobile is a "respected partner" and we honestly believe that South African players will find the online experience absolutely fascinating. Remember, all the incentives and bonuses that we have all been accustomed to on the regular online version of the casino are also available on the mobile version, as too is the great support. For all the regular online slots players and those looking for mobile slots tournaments please visit our Silver Sands Mobile page for a more detailed look at the mobile slots available along with the bonus incentive.